SKU: lotionGFRHST. 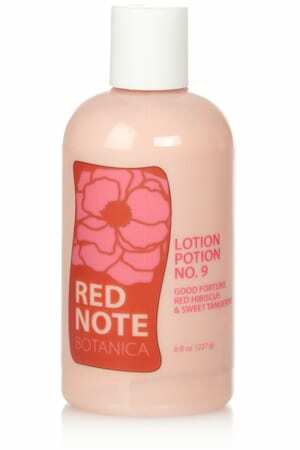 Category: Lotion, Citrus, Floral, Good Fortune Red Hibiscus & Sweet Tangerine. Quench your skin with a daily drink of moisture. Natural vitamin rich apricot kernel, sunflower and grape seed oils nourish skin, while nutrients and antioxidants in illipe and cocoa butter offer deep hydration and protect your skin from losing moisture. 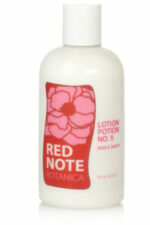 The perfect all over body moisturizer! Beautifully complements the fragrances of our sugar scrubs, cremes and body butters. Go ahead and layer your favorite fragrance blends, or mix and match to create your own signature blend to last a magically long time! Generously apply all over your body while skin is still moist from the bath or shower to nourish and lock in precious moisture. Aqua (distilled water), Helianthus Annus (Sunflower) Seed Oil, Prunus Armeniaca (Apricot) Kernel Oil, Cetearyl Alcohol, Polysorbate-60, Ceteareth-20 (Emulfsifying Wax), Oryza Sativa (Rice) Bran Oil, Theobroma Cacao (Cocoa) Seed Butter, Shorea Stenaptera (Illipe) Seed Butter, Citrus Reticulata (Mandarin) Oil (essential oil of sweet tangerine), fragrance, Citrus Granids (Grapefruit) Extract (GSE: Grapefruit Seed Extract, natural preservative), FD&C red 40, FD&C blue 1, FD&C yellow 5 and 6. 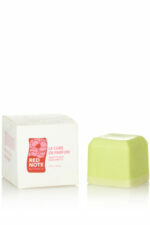 LE CUBE DE PARFUM – Polar Bears Go Coconuts!